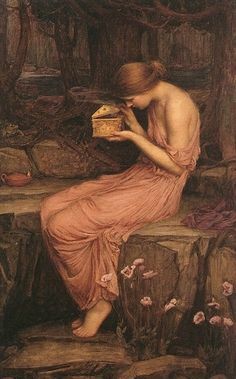 Pandora, as the myth tells us, was the Greek goddess of curiosity, and so strong was her desire to know what was hidden that she broke taboo and opened the box containing all the sorrows of the world. Personally, I think this version was invented by a man who wanted to make a lesson to all curious women, so as to keep us in our places. When Pandora opened that box (it was actually a jar in the original version) she let loose a lot of things, but they weren’t all sorrows. True, she let loose Shadow, Conflict, Rage, and Grief; these are however necessary parts of our human experience and if we keep these things hidden in a box, we do not ever learn to live fully. She also freed Love, Courage, Curiosity and Hope from the box where they lay still for centuries. And the lust for knowledge, and perseverence… so many good qualities. You may think otherwise, but this is my version of the myth and I’m sticking with it. Having a personal mythology/mythological figure is a device promoted by Jungian therapists and those who work with the arts in therapy. It’s not quite the same as having a super-hero, but similar. Finding a mythological character who has qualities we recognize in ourselves, or qualities we wish to cultivate is not just vague fantasy or child’s play: it can provide an artistic idea/image through which to explore all the different aspects of who you are and how you operate in the world. I chose the image of “pearls” for this site, as well as other metaphorical work that I do because 1) the name of Pandora’s Box was taken and 2) pearls also have a strong metaphorical/symbolic image & function in mythology which I find helpful and comforting. The pearl is formed when a speck of something irritating lands in the soft tissue of the oyster (another hidden/closed container) and it begins to secrete a lacquer-like substance over it to soothe the irritation. The result is a pearl, of varying size, color and shape, but always lustrous and both soft and solid at the same time. Pearls are valued for their beauty when they are perdectly round and white, but I find the rougher, more irregular pearls to be equally, or even more beautiful as the plain “perfect” ones. Life is full of plenty of irritations and the process of creating pearls out of each of them is endless and fascinating. I’ve created a great number of pearls in my lifetime, and probably will create many more. It makes me happy to share my pearls with others, and to gain little pearls (of wisdome, of inspiration, of ideas, of beauty) from others; we are all pearl -makers in some way or another. 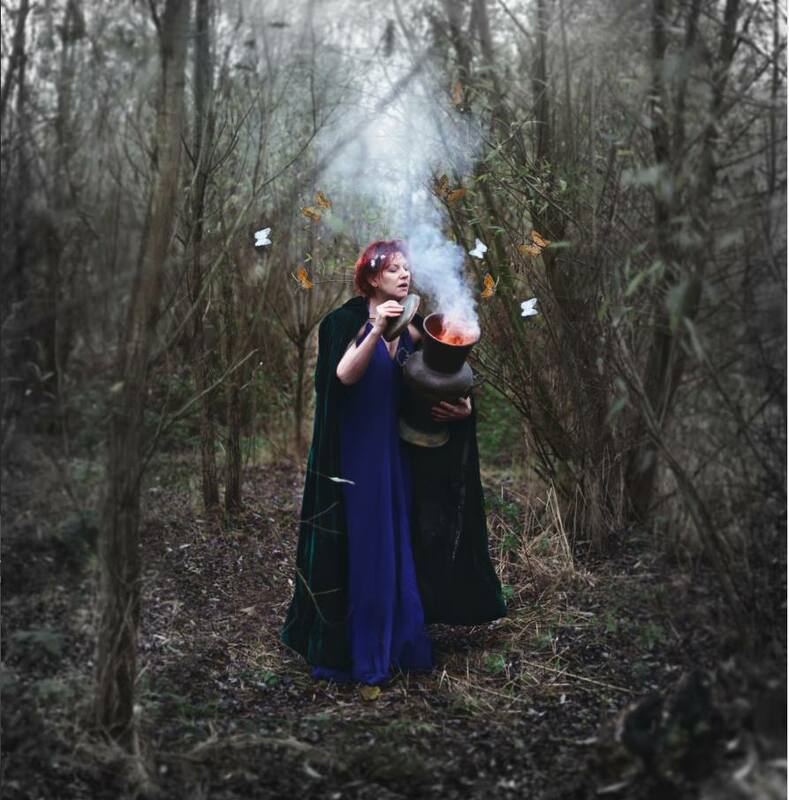 What myths and stories help you to shape your existence and to make sense of your world and your actions? ~ by suzanlemont on March 3, 2016.